Magnetic resonance imaging (MRI) is a method of looking inside the body. Instead of x-rays, the MRI scanner uses magnetism and radio waves to produce remarkably clear pictures of your head, spine, or other parts of your body. An MRI scanner consists of a strong magnet with a radio transmitter and receiver. These instruments gather the information from your body. MRI produces soft-tissue images and is used to distinguish normal, healthy soft tissue from abnormal tissue. Depending on what information your doctor needs, the MRI scan may require the use of a contrast-agent given through an IV to assist in visualization of certain structures in your body. No special preparation is needed prior to the exam, unless your doctor has given you other instructions. You will be asked to complete a safety screening form and answer questions pertaining to your medical history. Please wear loose clothing without zippers or metallic parts. After you have removed all metal objects, the technologist will position you on a special table, and the table will then slide into the scanner. MAGNETOM Espree’s Open Bore design allows your head to stay outside the magnet bore during most examinations –with the exception of head or neck scans of course. You will be able to communicate with the technologist during the entire scan. To ensure clear pictures, you will be asked to hold very still and relax. In some cases, you will be asked to hold your breath. Any movement, especially of your head or back (even moving your jaw to talk) during the scan will seriously blur the pictures. While the machine is taking your pictures, you will hear rapidly repeating, thumping noises coming from the walls of the scanner. For additional comfort, headphones will be provided. During this time, you should breath quietly and normally but otherwise refrain from any movement, coughing or wiggling. When the thumping noise stops, you must refrain from changing your position or moving about. This whole procedure will usually be repeated several times, and the entire exam ordinarily takes between 30 and 45 minutes to complete. Any metallic substance on your person can affect the quality of the diagnostic images. It can also cause discomfort or even injury to you when placed into the magnetic field. Also, tell us if you are pregnant! The radiologist will study your examination and will give the report to your doctor. Then your doctor will discuss the results with you and explain what they mean in relation to your health. Results cannot be given directly to the patient or the family. You will receive a bill from Radiology Associates of Southwest Louisiana and Advanced MRI. If you have any questions regarding your bill, please contact our office at (337) 494-2674. Advanced MRI accepts most major network providers. 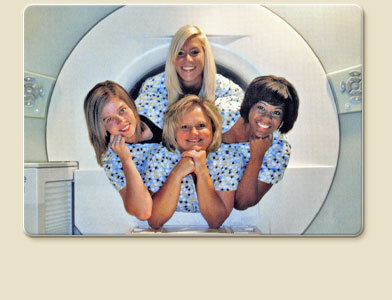 We thank you for choosing Advanced MRI and look forward to offering you a comfortable environment for your MRI exam! Please feel free to call us with any questions or concerns!